Oil Summary:?The African sandalwood has an intensely sweet, woody scent up front, which immediately gives way to a softer, cedary note. Its color is a clear, pale to greenish yellow, and it has a much thinner consistency than its Indian counterpart. 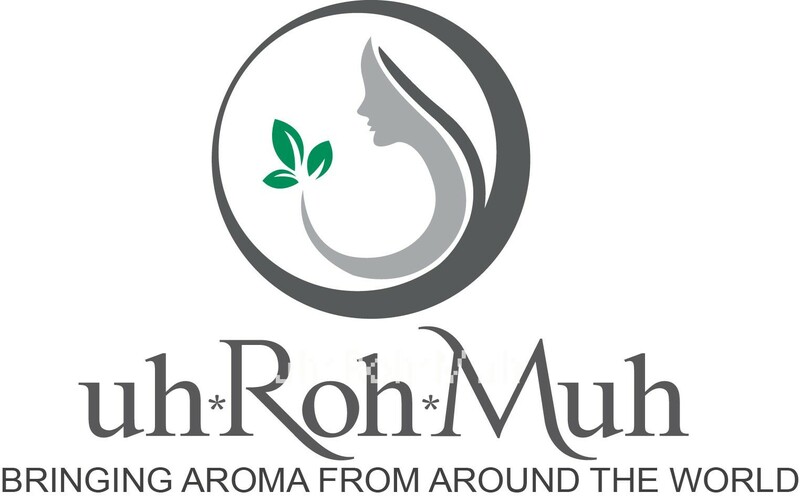 Used almost exclusively for perfumery, it is not considered a ?true? sandalwood, although it does possess the same alluring, woody-warm scent. The ?standard? grade refers to its low-level of santalol, the beneficial component that provides the basis for sandalwood?s medicinal benefits.? Odor and Color: Clear, pale yellow to greenish yellow viscous liquid. Main Constituents: ?- Santalol,?CIS-?-Santalol, Bergamotol, ? Santalol,?Nuciferol and Lanceol. Blends well with:?Frankincense, Geranium, Grapefruit, Clary Sage, Ylang Ylang, Roman Chamomile, Rose, Cinnamon, Patchouli, Bergamot, Ginger, Nutmeg and Clove. Contraindication: African sandalwood is non-irritating, though common essential oil disclaimers and dilution ratios should be heeded. Avoid use if you are pregnant, and practice caution if you suffer from severe allergies. This is a wonderful oil in it’s own right. It has the tanginess of some oudhs and the woodiness of sandalwoods in the dry down. Comparing it to other sandalwoods misses the mark. This oil is hard to find and may not be available in the not to distant future. I have been collecting various species of sandalwood essential oil from all over the world for quite some time now. Osyris (African Sandalwood) essential oil is an extremely hard to find oil derive from Africa — Tanzania to be exact. How does it smell? From the headspace (top note), it has a richer and more intense milky sweet creaminess to it that is in the same same vein as the East Indian S. Album – almost in the gourmand direction — wonderful. Diluted in fractionated coconut oil, it becomes quite a soft sandalwood cedar note that is harder to describe but definitely less sweet. After about an hour on the skin, it has become quick softer and mellow reminiscent to a cross between Himalayan Cedarwood and Amyris essential oil — soft ,mild, sweet, resinous, and woody. While Osyris may not quite share the exact same chemical markers of a quality East Indian Sandalwood (i.e., santalol content of 90%), it is unique enough to stand out on its own with its creamy cedarwood resinous odor and fixative properties. However, like most thick essential oils, Osyris may improve with age if properly sealed and stored. The color is pale yellow and consistency is less viscous than S. Album, but still quite thick. I find that it blended well with florals, citruses, conifers and just about anything else without overpowering the final composition as is the case with Patchouli or Vetiver in high concentrations. I am very pleased with the overall customer service. I spoke with Feroz a few weeks ago about his products. He was extremely kind and knowledgeable, especially on the topic of agarwood and sandalwood distillation. 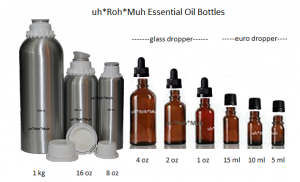 While little is known of the Uh-Roh-Muh company, I appreciate that the fact that he supplies a large assortment of product in addition to essential oils that are quite affordable. I have not purchased any thing else as of yet, but I will most like buy again. 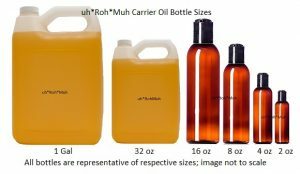 I live on the east coast where there aren’t too many suppliers of high quality essential oil as compared to the west coast that take forever for products to arrive. My order arrived unbelievably fast — within 48 hours. Presentation-wise, the item arrived well packaged and the oil itself was inside of a nice box. The label presentation had all the markers one may expect to see from a quality company, which included the botanical name, 100% pure & therapeutic quality, place of origin and packaging, and safety and contact information. Overall, great experience and will recommend this company to my friends and family.